A research grant from the Defense Advanced Research Projects Agency (DARPA) could help a University of Miami College of Engineering professor transform the aviation industry. 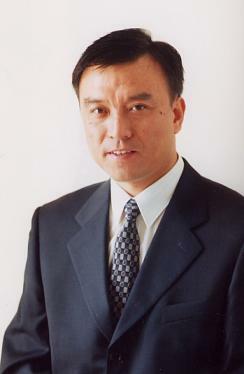 Dr. Ge-Cheng Zha, a professor of Mechanical and Aerospace Engineering with the CoE, and a CCS Member, received a DARPA grant to conduct research including numerical simulation, design, and wind tunnel testing to further demonstrate the superior co-flow jet (CFJ) airfoil performance for extremely short takeoffs and landings, and ultra-high-transonic cruise efficiency. The CFJ active-flow-control airfoil has an injection slot near the leading edge and a suction slot near the trailing edge on the airfoil upper surface. A small amount of mass flow is withdrawn into the airfoil slot near the trailing edge on the upper surface, pressurized and energized by a micro-compressor actuator inside the airfoil, and then injected near the LE in the direction tangent to the main flow on the upper surface. It can dramatically increase lift and generate thrust (like a bird wing) at very low energy expenditure. Dr. Zha and his team have conducted the research on CFJ airfoil at UM for the past 13 years, using wind-tunnel testing and advanced computing provided by CCS. In recent research, based on high fidelity CFD (computational fluid dynamics) simulation at low speed, the team has obtained a maximum lift coefficient of 9.6 at an angle of attack of 70º with no stall (see figure). The lift coefficient is substantially greater than the theoretical limit of the maximum lift coefficient of 7.6. It is thus named super-lift coefficient. At the same time, the team’s CFD simulation shows that the CFJ airfoil is able to increase productivity efficiency by 36% for a supercritical transonic airfoil at cruise. Most of the current active flow control technologies are aimed at suppressing airfoil-flow separation at a high angle of attack. The CFJ airfoil appears to be uniquely able to increase transonic airfoil efficiency at cruise when the flow is benign at a low angle of attack. These findings have the potential to transform the next generation of military and civil transports with extremely short takeoff/landing distances to increase airport capacity, reduce noise, and to reduce fuel consumption and emission pollution due to the ultra-high cruise efficiency. This is a joint project between UM, Texas A&M University, and Florida State University. 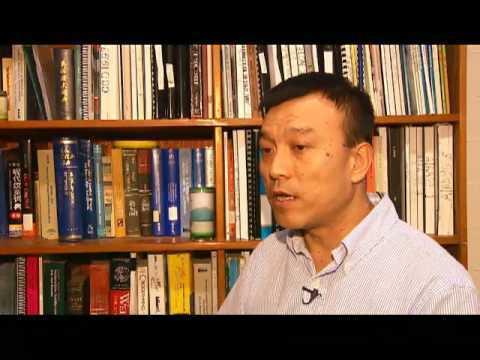 In this video (from 2009), Dr. Zha, inventor of the flying wing, talks about the Future of Flight.